Founded in 2015 at the globally renowned Massachusetts Institute of Technology (MIT), Eximchain is a blockchain-enabled infrastructure provider focused on supply chain management. From supplier credit to inventory management, Eximchain helps businesses connect, transact, and share information more efficiently and securely. 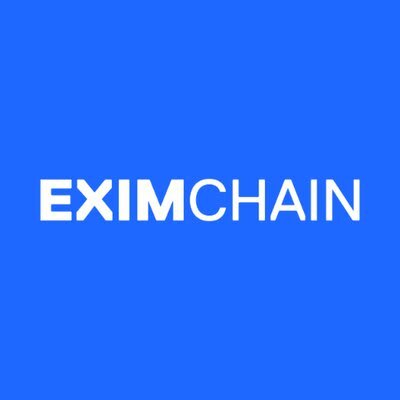 Eximchain’s mission is to provide a blockchain-enabled protocol to transform the global supply chain industry by integrating SMEs and increasing transparency. Eximchain is the first company in the blockchain space to implement a combination of Quadratic Voting and Ethereum-based smart contract to govern the ecosystem. The Eximchain protocol, secured by this governance system, empowers SME buyers and suppliers to create supply chain optimisation tools and gain access to affordable credit. Applications powered by Eximchain use state-of-the-art blockchain technology to ensure accuracy, transparency, and security. They are designed to break down barriers and integrate actors big and small into an inclusive, transparent, and secure global network. Sourcing: Eximchain securely records historical data and transactions allowing suppliers to prove their reliability to buyers and rating institutions. Supply Chain Finance: Eximchain Smart Contracts allow financiers to verify the validity of orders placed with all upstream partners and suppliers and provide the necessary financing. Inventory Management: Eximchain enables partners to share demand and inventory information across a common ledger seamlessly. In Feb 2018, Eximchain CEO Hope Liu was named by Forbes as one of the Five Female Rock Stars Leading the Crypto Scene in 2018. Eximchain is looking for a talented Content Writer to be part of our growing team. The successful candidate will be responsible for creating compelling blog posts, social media content, web copy and documentation that will lead to appealing to our target audience and boosting brand awareness. The responsibility includes expanding our digital footprint and driving more value through online content. The ideal candidate should be able to present a proven track record of producing pieces that increase engagement and drive targeted quality leads. This position requires a high level of creativity and the ability to use data-driven insights to write optimised materials. A candidate experienced in B2B content writing or the supply chain industry is preferred. If you are familiar with producing online content and have an eye for detail, we’d like to meet you. This position is open for remote-working.